The biggest names, the hottest topics, this is Impact Fintech. This unique two day conference is the spot where the most established financial institutions on earth get together with new market disruptors to discuss the transformation process of the financial industry happening right now. 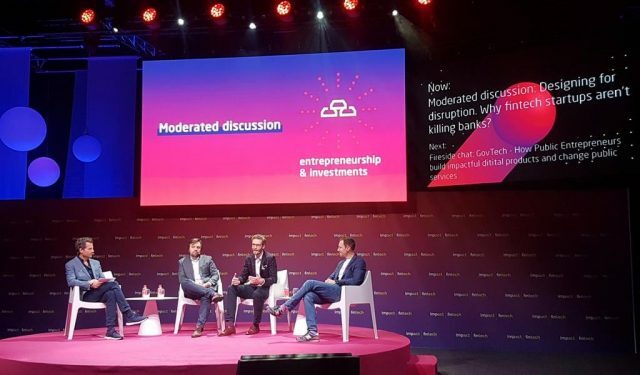 More than 150 speakers from around the world came together in Lodz (Poland) to talk about artificial intelligence, big data, blockchain, next-generation online banking platforms, alternative payments, person-to-person (P2P) lending, security solutions and much more. I had the great honor of being the MC on one of the two stages, partnering with the wonderful Dan Ram on the other stage. In addition, I got to host various fireside chats and panel discussions and was invited to be a jury member for the big startup pitch finale. It was an incredible event and if you haven’t been to one of the Impact events, be sure to put them on your list to visit in 2019. The Siemens “Inventors of the Year Awards” celebrate the achievements of researchers and developers from around the globe. This wonderful event, which took place at Siemens’ headquarters in Munich and was streamed live on the internet, was as much as celebration of people’s achievements as it was an evening of inspiration, focussing on the topics of purpose and collaboration, the why and the how of great inventions. In the spirit of honoring great inventions, Siemens partnered with TEDx München, which took place just two days before at the famous Kammerspiele. Among the inspirational speakers, such as author and innovator Charles Leadbeater or Open Bionics founder Samantha Payne, many members of the Siemens Managing Board as well as the COO & CTO Roland Busch, were discussing why and how Siemens is fostering great inventions and innovations. As the moderator / MC, I had the privilege of being part of this amazing event, witnessing many incredibly creative, intelligent and motivated inventors and award winners on the stage. 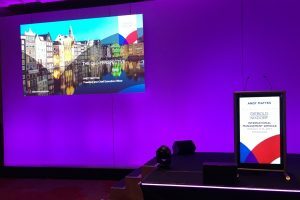 “Changing Perspectives” was the motto for this year’s SAP Connect 2018 in Düsseldorf. The biggest partner event for the DACH region was once again sold out with more than 1500 partners attending the two day SAP summit. 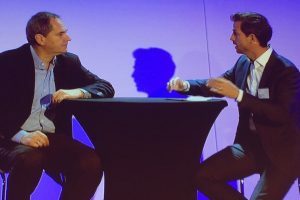 In addition to the main stage with international speakers, many different interactive formats, from Bar Camps and Roundtables to Workshops and Panel Discussions, offered detailed information about SAP’s “Intelligent Enterprise” strategy and extensive networking possibilities for all participants. I had the honor of presenting the program on the main stage, supported by the wonderful organizing team from Pro Event. 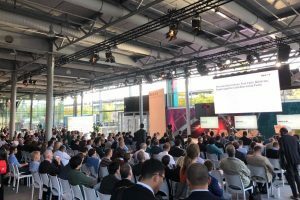 Over the course of two days, the audience experienced a wide range of different speakers and discussions about topics like Cloud Platform, AI, Machine Learning, Blockchain and the exhaustive SAP portfolio, with the Intelligent Enterprise Suite and offerings like SAP C/4HANA, SAP S/4HANA and SAP Leonardo. 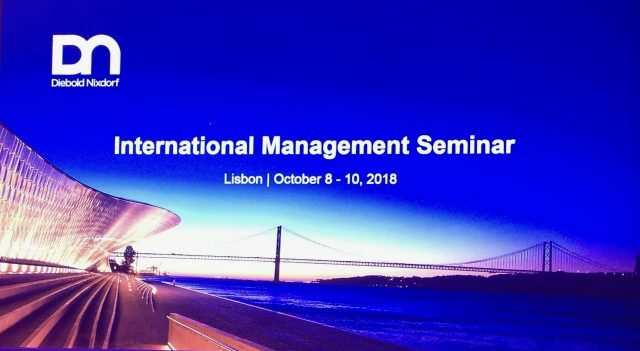 This year’s Diebold Nixdorf International Management Seminar took place in beautiful Lisbon, Portugal. For the 8th time, I had the pleasure of presenting speakers and panel discussions to a high-level international audience, packed with experts from the financial industry, discussing the most pressing challenges in the banking sector. At this year’s International Automobile Exhibition IAA, the VDA hosted its New Mobility World for the 3rd time. 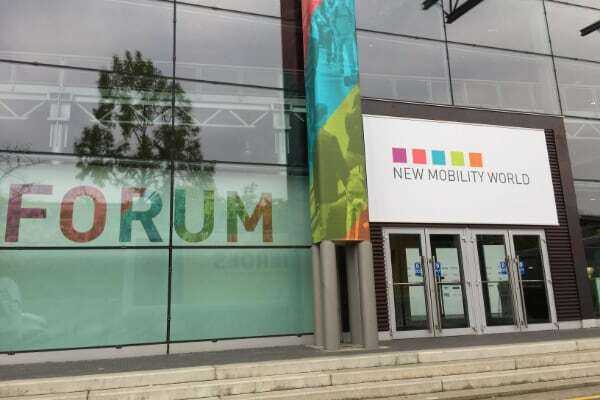 Over the course of four days, the international forum was a place where ideas, products and solution for the future of mobility were shared and challenges for the transport and logistics industry were discussed. Besides presentations from international speakers from major automotive companies, such as Daimler, MAN or Volvo, prominent panelists from the fields of politics, science and different industries discussed possible solutions for the most pressing challenges in the mobility sector. In an exciting competition, the finalists of the international Pitch Contest Lab18 presented their ideas for innovative mobility products and services. I had the privilege of being the moderator for this exceptional event, supported by the wonderful team from Evenson, who once again organized the New Mobility World Forum. What are the skills and abilities children need for a worthwhile future? And what are the contributions that we can make in this rapidly changing world? 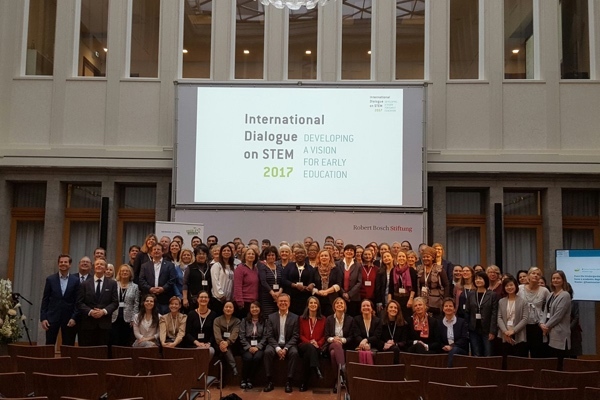 The “Haus der kleinen Forscher” Foundation invited global educators, scientists and activists from around the world to this first international conference on STEM education. 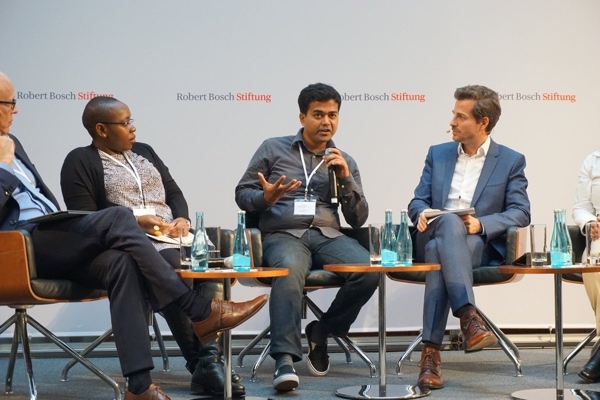 More than 100 participants from 28 countries on 5 continents followed this invitation and over the course of two days discussed, brainstormed, networked and exchanged their ideas and experiences at the Robert-Bosch Stiftung in Berlin. On the agenda were keynote speeches from prominent international speakers such as Prof. Andreas Schleicher and Dr. Auma Obama, panel discussions with participants from Peru, Kenya, India, Australia and Germany, as well as workshops about the various topics involving the implementation of “STEM & more” education. I had the pleasure of hosting the conference, created and organized by the Managing Director of the Siemens Stiftung, Dr. Nathalie von Siemens and Executive Director of Little Scientists House Foundation, Michael Fritz. The conference was the first of its kind and will start the process of a global exchange about STEM education. Following this successful premiere, the next International Dialogue on STEM will take place in 2019.